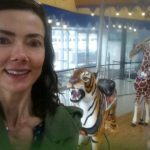 One of the highlights of my 2015 was riding on the glorious Carol Ann Carousel in Cincinnati. This beautiful example of craftsmanship was made in Mansfield, Ohio, at the world’s largest maker of wooden carousels. Yesterday, Carousel Works was the subject of the first in a new and occasional series of radio pieces I’m making under the aegis of the OSU Center for Folklore Studies for broadcast on WOSU. There’s more about the series here (the next piece is likely to be tangentially croissant-related!). The Carousel Works piece can be found here. 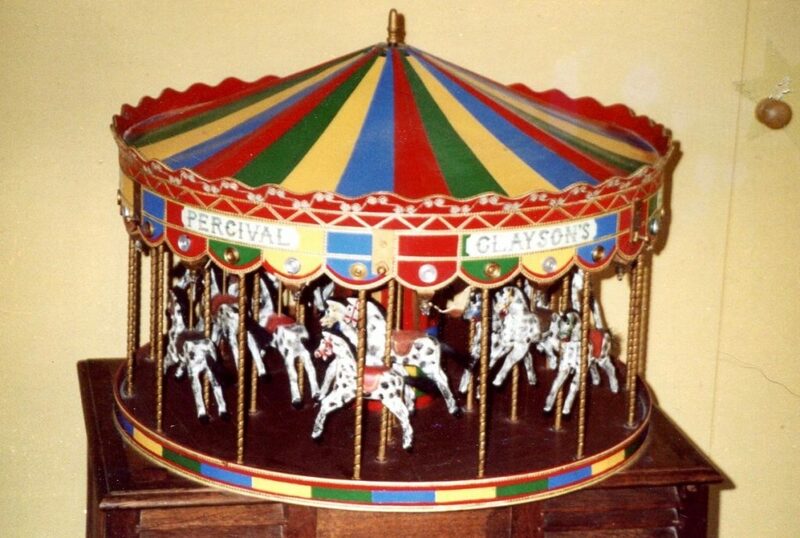 And finally, here is a photograph mini carousel made by my Grandad Clayson. He was a carpenter. I believe the full text on the canopy reads: “Percival Clayson’s Golden Gallopers”.